Located in Dongguan, China this minimalist footwear showroom design from HEAD Architecture and Design tries to give several decoration ideas for those who want to build a comfortable fashion show room. Using white color system, this clean office was completed with several usual spaces but in different look and decoration idea. 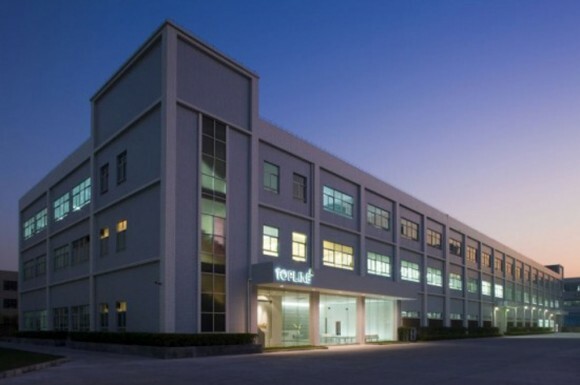 Let’s start from the white front desk footwear manufacture that complete with the comfortable sofa set furniture. This space shows both modern and comfortable treatment for the visitor when they come. Next space was the fashionable canteen office decoration that provides a clean canteen atmosphere and a comfortable converse space. Completed with wall painting, this space brings cheerful and calm feeling for the employee. Bored from busy office activities? Go on to the entertainment office space idea that located close to the conference space. 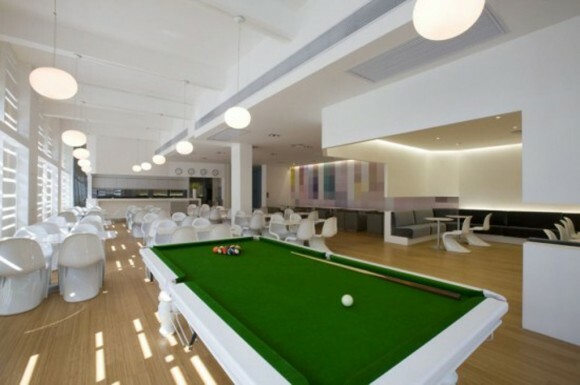 Completed with a large billiard table, this space was decorated in white color application. To complete this review, we already provide several modern footwear office pictures from Topline footwear office.